Mélanie is a bilingual counsellor with a degree in psychology and health sciences, and a Masters degree in Educational Counselling at the University of Ottawa. She is a Canadian Certified Counsellor as governed by the Canadian Counselling and Psychotherapy Association. 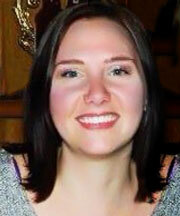 Mélanie has a specialization in concerns related to parenting, including behavior modification. She has made appearances as a Parenting expert guest on Rogers Television. In her parenting consultation, Melanie provides the parents with a concrete plan of action and addresses other important concerns with a more therapeutic approach. Such concerns would include communication within the couple/parents and disagreement on parenting styles.